There has been news in the last months about magazine volumes dropping in 2015, often in double digit numbers, and the debate about the pros and cons of printed mags vs blogs is as lively as ever. Some former mass magazines are shutting down completely, like Cleo. Others continue in reduced volumes with smaller readership, or as high quality premium products. Many magazines move to online distribution only, albeit not always successfully. However, some are defying death and new niche magazines are founded, in fact more than ever before. Some of these start ups are printed digitally in excellent quality and runs as low as 50, for niche audiences or while they are building up readership. Similar to book publishing, where digital print enabled the rise of small and self publishers, with the increased affordability and quality of colour printing, there are many opportunities for digital magazine printing. 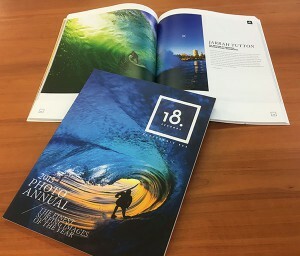 About the photo: 18 seconds is a magazine full of beautiful photos, printed on demand in vibrant colour on our Indigo, PUR bound for durability, in very short runs. In a video the editor of new magazine Organic Life is speaking about the ineffable magic of print. If you would like to publish a magazine and need some advice on papers, costs and how to get started, contact us and let’s talk or get a quote here. There is a very good post on Medium about the economics of publishing an independent print magazine here.